Moderate parties in Colombia’s congress have formed a voting block, marginalizing the hard-right coalition that supports President Ivan Duque. The Liberal Party (LP), Radical Change (CR) and the U Party (U) have almost half the seats in Congress. Their decision to vote as one will virtually paralyze Duque in Congress where the president’s coalition of conservative and far-right lawmakers is in the minority. The centrist block can now pretty much decide which government proposals will make it into Congress and which will not. Together with the opposition, which consists of leftist and centrist parties, the moderates will also be able to push legislation that is opposed by the government. Ever since Duque took office in August last year, the far-right lawmakers in Duque’s party, the Democratic Center, openly criticized the president for making too many concessions. Other parties in Congress lambasted the president for his failure to share power and the appointments of radical supporters of his political patron, former President Alvaro Uribe, in key administrative positions disregarding experience. Over the Christmas recess, Duque apparently bowed down to the pressure of the radicals and stopped seeking compromise, pushing instead the hard line of the CD’s radical power mongers. Former Vice-President German Vargas, the boss of the Radical Change party, accused Duque of bribing independent lawmakers in order to push through his radical agenda, and turned against the president. After meeting with LP leader Simon Gaviria and key U senator Roy Barreras, the three parties decided to form one voting block, effectively marginalizing the president and his party. Before the coalition of independent parties was formally sealed, Vargas had already struck the first blow to demonstrate Duque’s weakness. In a controversial move, the president refused to sign off on the statutory law that defines the powers of the country’s war crimes tribunal that is part of a peace process that has been rejected by the CD since before it kicked off in late 2016. 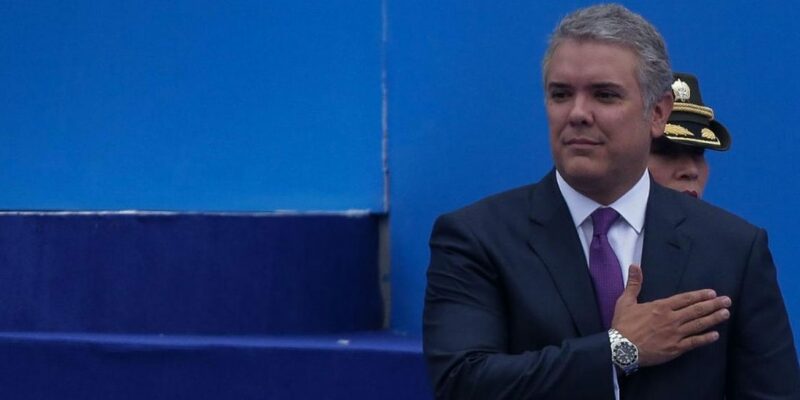 CR announced it would reject Duque’s objections, meaning that the president is forced to sign off on the war crimes tribunal that could devastate the political future of Uribe and many other top CD figures who are implicated in crimes against humanity. This blow is likely to be only the first of many blows that will render Duque’s administration powerless unless the president effectively betrays his political patron by seeking consensus in Congress.